The Division of Student Affairs coordinates numerous programs, services, activities, and events designed to promote student growth and development. This is accomplished through the direction of professional staff who oversee the departments of Career Services, Counseling Services, Health Services, Judicial Affairs, Safety and Security, Student Involvement, United Campus Ministry, Community Service Center, Residential Life, Student Recreation and International Student Advising. The primary responsibilities of the Vice President for Student Life and Dean of Students are the general welfare of students, the promotion and maintenance of a positive and dynamic campus environment, as well as designating opportunities for students' intellectual development and personal growth. Students who experience problems in fulfilling their responsibilities, or those with suggestions on how to make Lycoming College a better place, should feel free to speak with the Dean. The Vice President for Student Life and Dean of Students strives to anticipate and understand students' interests and needs and is, therefore, available to listen and assist students in solving any problems that may arise. The Dean's Office also acts as a liaison between students and the faculty, staff and senior administration of the College when appropriate. For many undergraduate students, the college experience provides an unparalleled opportunity for intellectual, emotional, social, and spiritual development. Counseling Services supports the mission of Lycoming College in encouraging this full range of growth and development for all Lycoming College students, while also helping to ameliorate the problems which potentially compromise this growth. Counseling Services utilizes a brief, solution-focused style of treatment. This approach emphasizes the individual's strengths, resources and abilities. Effort is made to identify how a particular problem is imposing itself on the individual. Talk focuses on what the individual is doing and can do to diminish and resolve the difficulty. A student does not have to be in crisis to participate in counseling. In fact, it is far better to address issues of distress while they are still manageable, rather than wait until one is overwhelmed. Some of the issues that are usually addressed by Lycoming College students are: depression and anxiety issues, relationship problems, academic difficulties, shyness and social anxiety issues, family problems, grief and loss issues, anger problems, self-esteem issues and generalized stress. The commitment of Health Services is to provide health care for minor illnesses/problems to students in a comfortable, relaxed atmosphere. Appropriate referrals are made to area specialists or the College physician. Health education is provided through formal and informal group settings and on an individual basis. Our goal is to increase health awareness, promote healthy lifestyles and to educate students on the use of the health care system. All health care issues are kept confidential. Staffing — Health Services is staffed with one full-time and one part-time RN. Physician services are provided six hours per week. Appointments are made for the physician after assessment by the nursing staff. Hours — Student Health Services is open for student visits 8:30 a.m. to 4 p.m. Monday through Friday. Physician services are provided by appointment following a nursing evaluation. The nursing staff also works on an appointment basis; however, we do our best to accommodate urgent walk-in situations. Charges — Although most health services are provided at no charge, immunizations and some prescription medications are available at cost to the student. Any expenses incurred as a result of referral, off-campus medical care, laboratory testing or emergency room care are the responsibility of the student. Additionally, submission of any insurance claims to the appropriate carrier is the responsibility of the student. 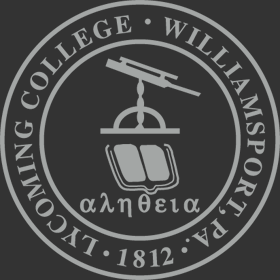 Claim forms for the student health insurance may be obtained at through the Student Health Services website, https://www.lycoming.edu/health-services/. The Keiper Recreation Center is the place to be for healthy, active lifestyles. Offering a variety of intramural events and fitness classes, the Recreation and Intramural Sports office has something for everyone. For those individuals interested in leading a healthier lifestyle, and increasing stamina Lycoming College boasts a state of the art Fitness Center featuring rowing machines, stationary bikes, treadmills, elliptical machines and stair climbers. Cardio Theater is also available, just bring along your headset to tune into the TVs! Lycoming College’s Keiper Recreation Center also features a walking/running track, and four basketball courts which can be used for a multitude of activities to maintain a healthy, active lifestyle and enhance your stay at Lycoming. Fitness classes include Ab Attack, Kickboxing, Interval Explosion, Definition and Zumba. All classes are taught by certified instructors. The intramural sports program is designed to provide a well-rounded program of competitive and recreational sports throughout the academic year. Through participation, individuals can develop an appreciation for the worthy use of leisure time, a wholesome attitude toward physical endeavors, and the desire for life-sports. The intramural sports program is open to all students, faculty and staff of the college. Each semester, a variety of sports are offered, including volleyball, flag football, indoor soccer, basketball and many others. The Department of Recreation and Intramural Sports strives to meet the needs of each student, faculty and staff member and to create the most diverse, inclusive program as possible on the collegiate level. Our Mission is to strengthen the educational mission of the College through enhancement of students' physical fitness and wellness, knowledge, personal skills and enjoyment. The mission is accomplished through a variety of activities provided to contribute to individual physical fitness and wellness and access to quality facilities, equipment and programs as well as opportunities for cooperation and competitive play actively in the game form, a medium through which students can learn and practice leadership, management, program planning and interpersonal skills. The mission of the Office of Residential Life is to support the overall vision of Lycoming College by providing a living environment that encourages academic success, fosters leadership and cultivates citizenship. Provide a safe and secure residential environment. Offer an environment which supports and recognizes resident student academic achievement. Hire and develop a staff of student leaders who are committed to the education and development of their peers and themselves. Facilitate educational and social programming that furthers the building of community and provides life skills that are transferable to the workforce and to life in general. Create an atmosphere that promotes the rights and obligations of living in a diverse community where self-responsibility and mutual respect are encouraged and expected. Continually define and refine how we endeavor to meet the needs of the students we serve. The Office of Residential Life holds the belief that student development and learning goes on outside the classroom, as well as inside the classroom. The policies, procedures and programs which are established and supported by the Office of Residential Life are those which enhance student learning and involvement. We strive to provide an atmosphere in which students are encouraged to make informed decisions on their own, take responsibility for their actions, and learn from their experiences. Our goal is to educate. When it becomes necessary to levy sanctions as a result of a violation of policy or regulation, we bear in mind that the judicial process is not just punitive, but an opportunity for education and personal growth. The Residential Life staff strives to provide a memorable, enjoyable and successful academic year, the success of this experience lies within all of us. Through participation, cooperation, understanding and communication, we all can enjoy the time spent in the residence hall community at Lycoming College. The Residential Life staff includes two Residential Life Coordinators who are professional staff members responsible for supervision of the paraprofessional staff (RAs) and oversee the development of strong residence hall communities for several residence halls. The Residential Life Coordinator also assumes leadership responsibility for several functions within Residential Life. The other live-in members of the Residential Life staff are Resident Assistants. RAs are undergraduate students selected on the basis of their leadership skills. RAs live among students and provide information, refer students to campus and local resources, help enforce College and community standards, use helping skills for students in need, and facilitate educational and social programs. Most importantly, RAs assist in the development and maintenance of strong, positive residence hall communities. RAs work with residents to enhance the out-of-classroom experience for all members of the community. Located at the South end, lower level of Rich Hall, the Safety and Security Department is staffed 24 hours a day, 365 days a year. Officers make frequent patrols of campus including residence halls, academic buildings, parking lots, athletic fields and College-owned off-campus apartments. The Lycoming College Department of Safety and Security encourages everyone to take an active role in their own safety. A truly safe campus can only be achieved through the cooperation of all students, faculty and staff. The potential for crime on campus does exist. We should assume a personal responsibility by taking precautions to prevent ourselves from being a victim of crime. The Department of Safety and Security staff consists of a full-time director, 12 safety and security officers, and several part-time student security aides. The Office of Fraternity and Sorority Life and Involvement strives to support the academic mission of Lycoming College by providing a variety of social, cultural, recreational and educational programs for the campus community. While this office's primary function is to advise and provide resources for the College's recognized student organizations, the staff also works to prepare a variety of annual events including the campus carnival, homecoming, family weekend, Thanksgiving dinner, concerts, etc. The office provides direct support to the Campus Activities Board, all fraternities and sororities, class officers, and is available to assist all student organizations in all aspects of their functioning. Fraternity and Sorority Life and Involvement also oversees the operations of the Wertz Student Center. Currently, the office maintains a leadership development library for leaders of registered organizations and all students interested in developing their leadership skills. Fraternity and Sorority Life and Involvement is open and staffed from 8 a.m. to 10 p.m. Monday-Thursday and Friday 8 a.m.-4:30p.m. The office of Spiritual Life and Community Service is located on the third floor of Wertz Hall. The director is available to students for support, counsel, and spiritual direction. Spiritual Life offers a wide range of activities and experiences in support of the Lycoming community - including a variety of student faith organizations, interfaith programming, retreats, and occasional worship experiences. The Lindsay Memorial Prayer Chapel in the Mary Lindsay Welch Honors Hall is available during the day to all members of the college community for prayer and reflection. Volunteer opportunities are coordinated by The Community Service Center. Staffed by students and managed by the Director of Spiritual Life and Community Service, the center offers opportunities to engage in service to the campus and to the surrounding community through individual and group volunteering and service events. A Service Council, comprised of representatives of student service organizations, meets monthly to discuss issues and opportunities related to service. All interested members of the college community are invited to attend.